Ships from and sold by Curb-N-Sign. 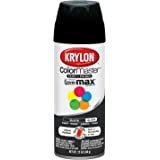 Krylon K05160107 ColorMaster Paint + Primer, Gloss, Black, 12 oz. 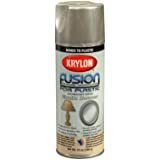 Krylon DUAL(TM) Paint + Primer does two important jobs with every spray. 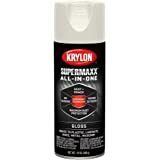 It primes the surface for durability and coverage, and paints the surface with a Krylon-quality finish. All with one can, one step! 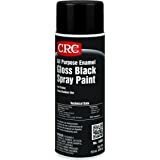 Ideal for use on metal, aluminum, wood, ceramic, masonry, concrete, wicker, glass and plaster. 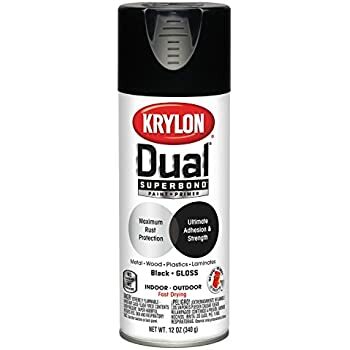 Krylon's Dual Superbond, or as you can find it locally now Supermaxx paint is seriously the best can spray paint for your money. 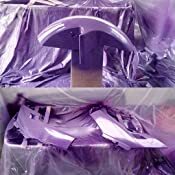 I originally bought the Hammered Gray Dual Superbond a little over a year ago from Walmart, I used it to repaint a motorcycle swing-arm, and it's still going strong even to this day through wether, dust, dirt, rain, vibration. Just a few chips and scratches in hard to see areas. 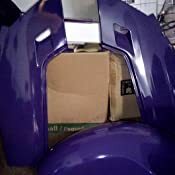 I've gone through about 20 different canned spray paints and clear coats, trying to find the best one that looks and lasts the best. 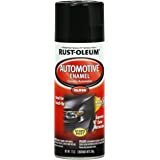 Since I use it in automotive and motorcycle applications, I need something that I can rely on, have tried everything from cheap $2 cans to $25/can paint and clear coat specifically for automotive applications. This is the best one I've found to date, it goes on so easy and turns out thick and glossy without the needs for a clear coat at all. Since it says no sanding or priming required I gave that a shot as well. Pictured about are two side plastics that I washed, wet sanded, cleaned with alcohol, then washed and thoroughly dried with microfiber cloths prior to spraying with just the Krylong Dual Superbond (no primer). I used 1 full can to paint them (about 4 coats), and they turned out great as you can see. The wheel fender pictured I just washed, then cleaned with alcohol and dried thoroughly, then sprayed again about 4 coats worth on. It actually turned out as good or better. No sanding, no primer. Having used high quality automotive paint mixed for pressure guns, this actually turns out not far off from how professional $100/pint pressure gun paint turns out. Highly recommend this paint. Originally I reviewed this quick based on a practice test on wood but when I used it much more and on other surfaces I noticed some issues. 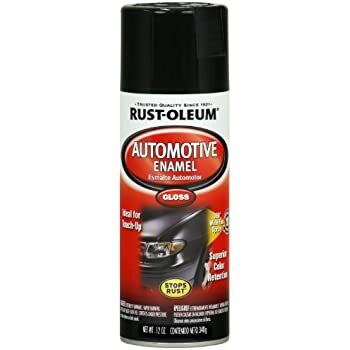 I'm able to compare with the Rustoleum product which is nearly identical in color, the glossy apple red and is also a prime + paint. 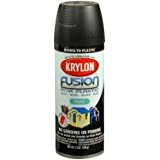 However, the differences in the two I noticed is purely bad for Krylon. 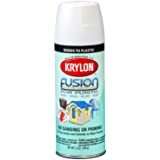 The krylon for whatever reason did not dry well, I gave it two days and without pressure set it on something and paint came off after a few minutes and lifting it up, this NEVER happened with Rustoleum and with shorter dry time, and it also did NOT happen with the Krylon pure paint products. 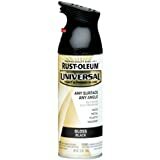 The worse part is this product sprays all over the place, there is no direct shot, it sprays a cloud to take out a riot. I can't express that enough, which is a problem unless you have some crazy paint studio but I was working within a confined space and same as I have other times and the lack of precision in the spray and you can shake all you want, it's frustrating but just messy and you'll have a lot of unwanted clean up afterwards. Maybe setup a "Dexter" like plastic covered studio, I don't have that. 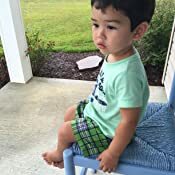 I just think this is the way it is and other products are superior. 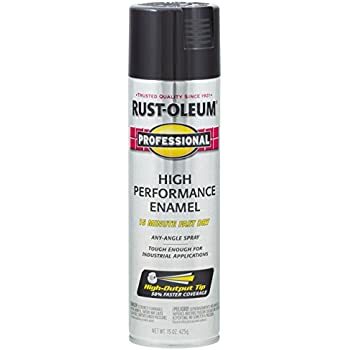 If you do have this product and must use it please keep those things in mind and hopefully it all works out, but I wouldn't trust ever setting it down on something but instead plan on coating it with a poly or something else as a finisher no matter what and then you don't have to worry I have the feeling it never dries like better products and I can't speculate as to why. Three coats but this paint stuck well to Rubbermaid plastic! This paint would have received 5 stars if it didn't wrinkle itself on the 2nd coat applied 24+ hours later (directions say it's OK to do this). Fortunately, the first coat gave just barely enough coverage; if it fades or goes thin in a year or so, I'll just sand and apply another coat then. 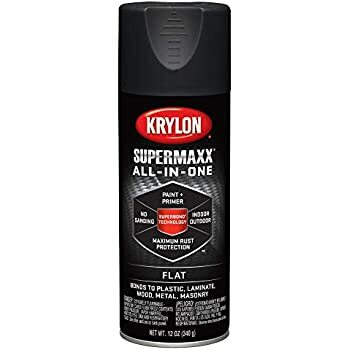 Easy to spray, but it's thin and runs easily. You need to spray a *very* light coat (almost mist it), let it tack up and then immediately spray a second coat; let that tack and then immediately spray the finish coat. I recommend practicing on a vertical metal sheet first. Once you see how it's done, you'll get a better idea of how you'll work your project's spray patterns. I sprayed nearly constantly, with short breaks, from beginning to end because of the large area. Do not let it dry hard and then attempt to spray another coat. It will crinkle (unless that's the finish you want). Adhesion and one-step (no primer) painting is the big advantage here. I got the glossy finish and it's just barely glossy, but I didn't expect better given it's combo primer & paint. I painted the fiberglass back cap of an '80s RV with it and the color and patina fit with the rest of the rig perfectly. Rain water beads up nicely. The color almost exactly matches the off-white that was popular back then. 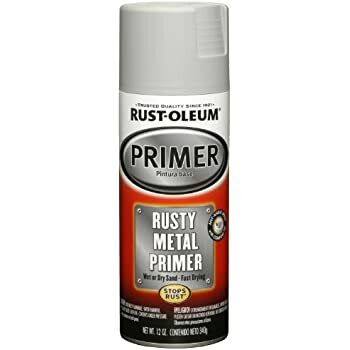 At $4.42 this is great rattle can paint. Bought gloss black. 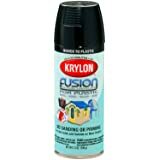 Good spray head, goes on smooth and covers well. Will run easily (typical) so watch your distance and use a couple of light coats. Drys fast; can re-coat in a half hour. Sprayed part 3 days ago so can't yet speak to durability. I've gotten poor coverage from other low-price paint; this one well exceeded expectations. Glad I bought 4 cans for this price. Oddly, the price for a case of 6 has a lot higher unit price! The moron I bought my house from put some weird stuff on the walls that regular latex paint wouldn't stick to. In most rooms the jerk covered holes with white silicon caulk, instead of Spackle or Dap. In one room he must have used acetone or something to clean the wall. There were these invisible drip marks that latex paint would not stick to, even after three coats. 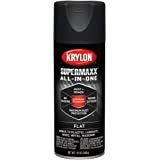 This can of Krylon stuck to it all, then my latex paint stuck to that, no problems. I bought this to spray a bathroom cabinet. First coat went on fine. Next day I put on a 2nd coat and it caused the first coat to bubble ruining the whole thing. Now I have to sand it down and start over. Utter crap this paint is. This is NOT blue as it appears in the photo -- it is absolutely grey. That's why I'm disappointed. Not worth mailing back, though. 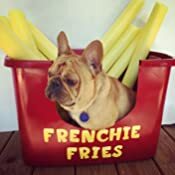 Also, keep in mind when ordering that because it is flammable the mail carrier will require a signature, which can be inconvenient if you are not home when they come by.